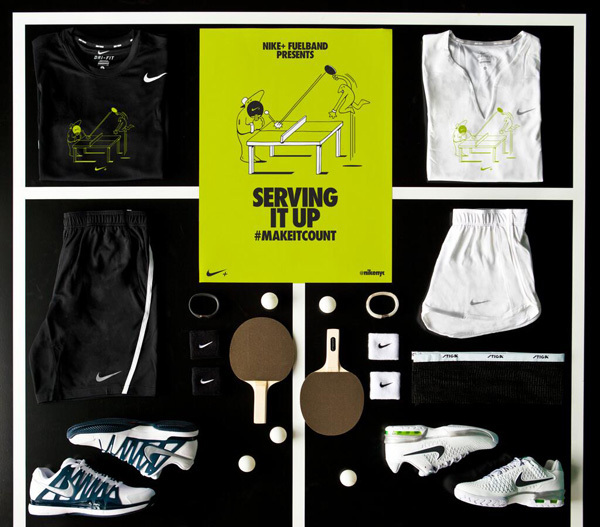 Nike NYC folds in some table tennis into its campaign to get folks in New York to raise their heart rates. The latest event organized by Nike NYC Serving It Up: Tournament of Champions is a ping pong happening this Friday, August 23 at Moynihan Station (401 7th Ave. @ W. 33rd St.). Reserve your spot by tweeting a pic of your Nike+ Fuelband to @nikenyc on Twitter. Winners could bag stylish gear like workoutwear, sweatbands, and shoes. More: Check @nikenyc for more details.